When you're looking to transform your home, it's important to look at the ways to do this, and Cover Glass offers an array of options that completely changes your home living experience. Frameless glass doors have the potential to eliminate the harsh metal tracks and other aspects that could otherwise be off-putting, and there are many places where you can have Cover Glass installed. When you upgrade your French doors to Cover Glass, you can get rid of the bulky frames. These can be eliminated entirely by choosing Cover Glass folding glass doors. They are entirely frameless, and there are multiple combinations to open them, including completely, partially or just a few of them. The added benefit is that the lower track is completely recessed, so you don't encounter any uneven surfaces. If you have ever noticed anyone trip going from your living room to your outdoor patio, you know what a safety hazard it can be. The hidden track is considerably safer and adds to the overall, streamlined aesthetic that you are trying to achieve. 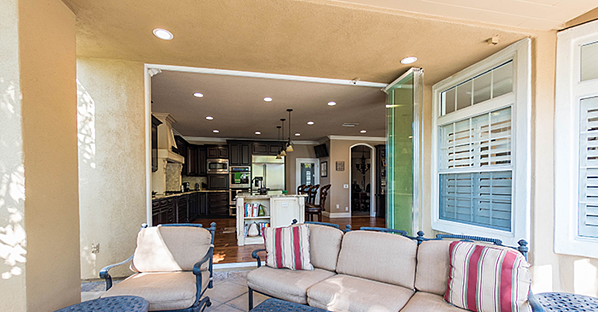 Enjoy interior sliding glass doors that open up to the outdoors. It allows the gorgeous, California fresh air into your home so that you can truly benefit from all that the area has to offer. 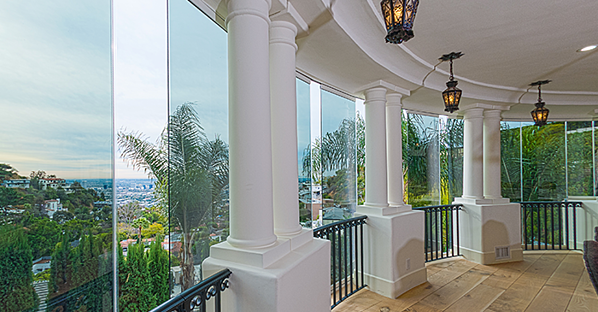 Moving a glass wall aside will also allow you to benefit from any backyard features you have, such as the sound of a fountain or the waves of the ocean crashing. 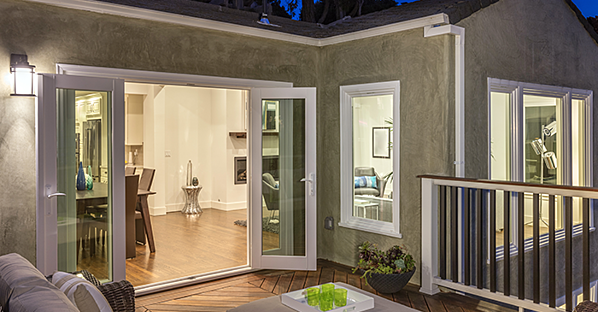 At night, you may also want to open the doors so that you have more space for entertaining. By choosing folding glass doors for a home office, you can sweep a wall aside in seconds, which enables you to turn any room into an open-air environment. You won't have to feel claustrophobic by being surrounded by drywall. It can make it seem that your office is considerably more spacious. 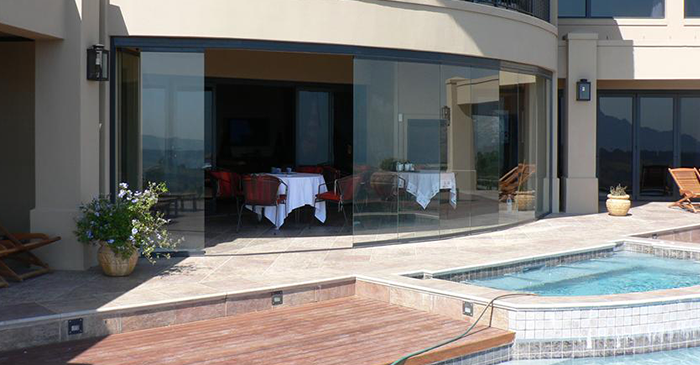 By working with Cover Glass, you can enjoy a frameless glass door enclosure, which allows you to see all of the breathtaking views that you have without the interruption of the glass frames. The enclosure can keep the bugs out as well as provide you with a bit more privacy. You can enclose your balcony or even various areas of your patio, such as around a kitchen island. The benefit to this is that you can enjoy the gorgeous views of California (or anywhere else) without worry of the weather. If it's raining, you will be behind the glass. The systems can withstand strong winds, too, allowing you to enjoy a waterproof quality as well as airtightness. The robust and anodized aluminum profiles and tempered glass will keep you protected without having to worry about whether strong whether will break or damage the panels. It's important to consider all of the ideas that exist for sliding doors for your home. It may be just what's needed to transform your home's living space into something truly phenomenal. Cover Glass offers a two-step process for installing the frameless sliding glass door system in your home. The first step involves laying the track while the second step consists of the installation process. Typically, the lead time is 3 to 4 weeks to get the glass needed to start working on your project. All sorts of designs and styles are available for the track and channel system as well as the locking hardware, allowing you to have full control over the final aesthetic. Contact Cover Glass today to work with a team of experts who can discuss ideas for your home.